NBC has made it official: Michael J. Fox (pictured) is coming back to series TV with a new comedy series, based loosely on his personal life. NBC announced Monday it has a 22-episode commitment for the series set to premiere in fall 2013. The single-camera comedy, thus far untitled, will feature Fox as a husband and father of three from New York City who is dealing with family, career and challenges that include Parkinson's, the network said. No further casting was announced. The executive producers and co-creators are Will Gluck (Easy A, Friends with Benefits) and Sam Laybourne (Cougar Town, Arrested Development), with Gluck producing through his Sony Television-based Olive Bridge Entertainment. He also will direct the pilot. Reports of Fox's plans to return emerged last week. Canadian-born Fox won stardom for his work as Alex Keaton on the hit comedy Family Ties, which began its seven-season run on NBC in 1982. "To bring Michael J. Fox back to NBC is a supreme honor," said Robert Greenblatt, chairman of NBC Entertainment, "and we are thrilled that one of the great comedic television stars is coming home again." He called Fox "utterly relatable, optimistic and in a class by himself." "I'm extremely pleased to be back at NBC with a great creative team and a great show," Fox said. 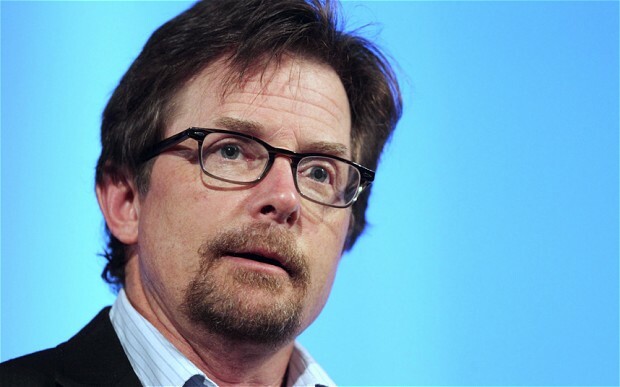 The 51-year-old actor was diagnosed with Parkinson's disease in 1991. In 2000, he left his ABC comedy Spin City after four seasons, saying he intended to focus on helping find a cure for the disease. He founded the Michael J. Fox Foundation, which is dedicated to finding a cure for sufferers of Parkinson's disease while promoting the development of improved therapies and raising public awareness of the disease. Since then, he limited his acting appearances to guest shots on series including Rescue Me, Boston Legal, Curb Your Enthusiasm and The Good Wife. But in May, he told ABC News that a new drug regimen has helped him control the tics that are a result of the disease and could allow him to take on more acting roles. His feature films include the Back to the Future trilogy, Teen Wolf, Bright Lights, Big City and Casualties of War. He has won five Emmy awards.